If you have been caused injury in a car accident you may be entitled to recover compensation from the at fault driver that caused the crash or their insurance company. Contact car accident attorney Anthony Castelli for a free legal consultation to protect your right to compensation. There may be additional sources of compensation to pay your money damages for pain and suffering, lost wages, and medical bills that an auto accident lawyer can access for you. Serious car accidents require the guidance of an experienced attorney. Often, auto accidents lead to serious injuries that require costly and extensive medical treatment. If you must also miss work while you recover, your expensive medical bills and lost income can place significant financial burdens on your family. Fortunately, Anthony Castelli is here to help you through this difficult time. Mr. Castelli has more than 30 years of experience handling car accident claims for injured victims in the Cincinnati area. He understands the complex issues involved in these cases, and he knows the tricks the insurance company uses to try and unfairly reduce your compensation. 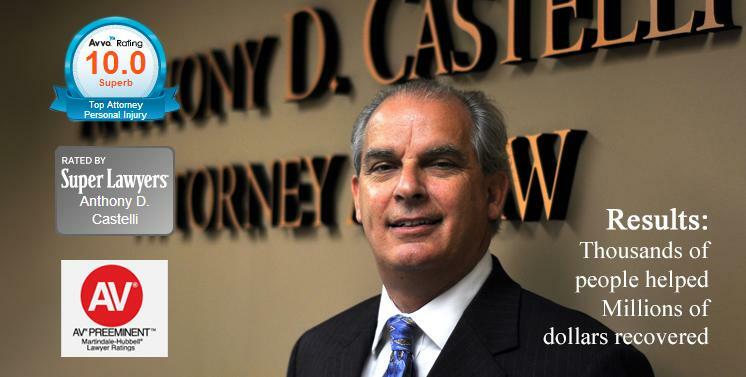 Mr. Castelli will fight aggressively to help you recover the compensation you deserve. You can learn about your rights and options by speaking with Mr. Castelli in person. Please call (513) 621-2345 today to schedule your free car accident consultation at our Cincinnati personal injury office. 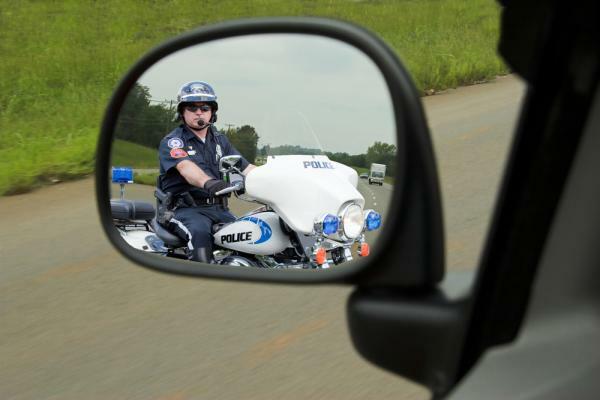 The state of Ohio adheres to comparative negligence laws. This means that you are entitled to recover compensation from any driver who was more at-fault for the car accident than you were. However, your damages will be reduced by the percentage of fault attributed to your actions. For example, if the other driver is deemed to be 75% at fault for the accident, your damages will be reduced by 25%, corresponding to your percentage of fault for the collision. One important point to keep in mind is that if you are determined to be more than 50% at fault for the accident, you won't be eligible to recover compensation at all. Mr. Castelli knows how Ohio's comparative negligence laws impact your case, and he'll work with a team of experts who can help you demonstrate that the other driver was primarily at fault for the accident. Mr. Castelli will make sure your case is filed before all the appropriate deadlines. In certain cases, accidents are caused by factors unrelated to the conduct of any particular driver. For example, an auto accident may occur due to a defect in someone's automobile. In such a case, a vehicle manufacturer or supplier may be responsible for injuries caused by the auto defect under the law of product liability. A product liability lawsuit can be brought against the manufacturer if there is a defect in the design or manufacturing of the vehicle, and the manufacturer may be held liable for any injuries caused by the vehicle defect regardless of whether negligence occurred. In these instances, government entities may be potential defendants. Special rules apply to claims and lawsuits brought against governmental bodies. As a result, good legal advice is critical to preserving and winning such claims. Figuring out who is at fault in an auto accident is a matter of deciding who was negligent. In many cases, your instincts will tell you that a driver, cyclist or pedestrian acted carelessly, but not what rule or rules that person violated. Fault issues can be complicated, and Mr. Castelli will look to a number of sources, such as police reports, state traffic laws and witnesses, to help you determine who was at fault for your accident. Every 30 minutes, someone in this country dies in an alcohol-related crash. Last year alone, over one million people were injured in alcohol-related vehicle accidents. If you've been injured in an accident caused by a drunk driver, you may be entitled to recover compensation for your damages. In addition, Ohio has enacted "dram shop" laws which state that a bar or social host may be liable for damages if they served an obviously intoxicated guest who then drove and caused an accident. 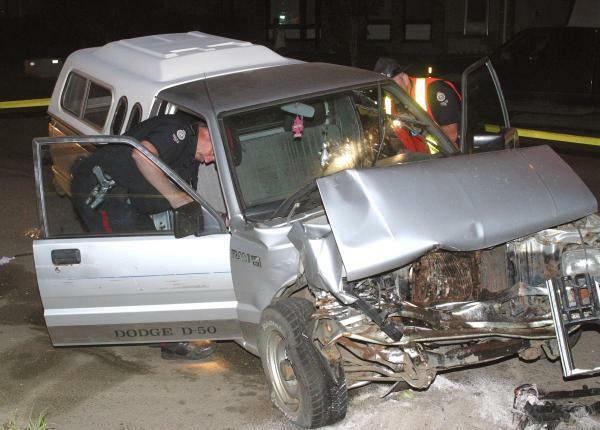 The fact that the person who served the intoxicated driver alcohol may be held accountable for your damages does not relieve the intoxicated driver of liability, however. Mr. Castelli can leverage all of these laws in order to help you maximize the value of your compensation after being injured by a drunk driver. We encourage you to download our parent/teen safe driving contract. You can either use it as is or treat it as a starting point if you prefer to create your own contract from scratch. Never settle with the insurance company until you understand how to value your claim. In most instances, the insurance company will try to get you to accept a lowball offer. By settling right away, you may be reducing the value of your compensation. Keep in mind that this settlement calculator is just meant to be used as a helpful guide, not a hard-and-fast assessment of the value of your damages. There are many complex factors involved in calculating the true value of your compensation, and the best way to get a truly accurate assessment is to speak with Mr. Castelli in person. You can also download our FREE ebook explaining the tricks insurance adjustors use to complicate the settlement process. Mr. Castelli understands the different sources of compensation available to car accident victims, and he knows the theories of liability governing these complex cases. This experience will give you the edge you need when seeking to maximize the value of your compensation. He wrote the book "Lawyer Advertising Revealed - How to get through the hype and hire a good attorney". You can download this e-book for free! 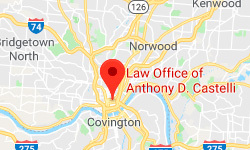 Please contact the Law Office of Anthony Castelli using the form at the right side of the page or call (513) 621-2345 today to schedule your free car accident consultation. Mr. Castelli serves clients in Cincinnati and throughout Ohio.